These are the only Shovelers I have carved. I made them in the late 1980s as part of my saltwater rig – although I also used them at Upper & Lower Lakes during our annual, early October expeditions there. 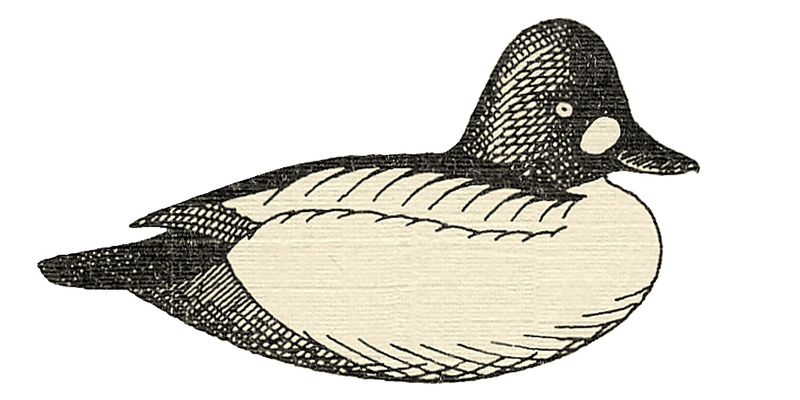 We see just a few Shovelers each season on Long Island. I carved them mostly to add some white to the cork Black Ducks in the rig and because the spirit moved me. They have an obvious Wildfowler look to them with their simple bodies, flat bottoms and shallow keels. I put no ballast in the keels – they trim and ride well as is and I am not a slave to the self-righting requirement. 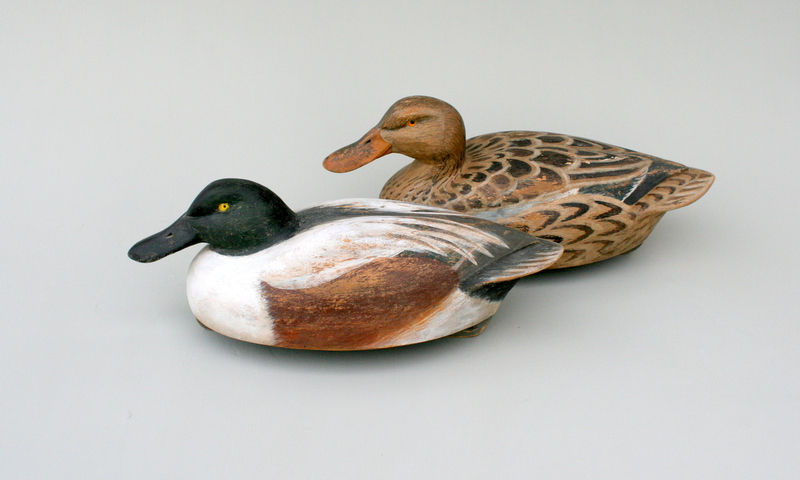 There is something about them that is “just right” to my eye – they are among my most cherished decoys. 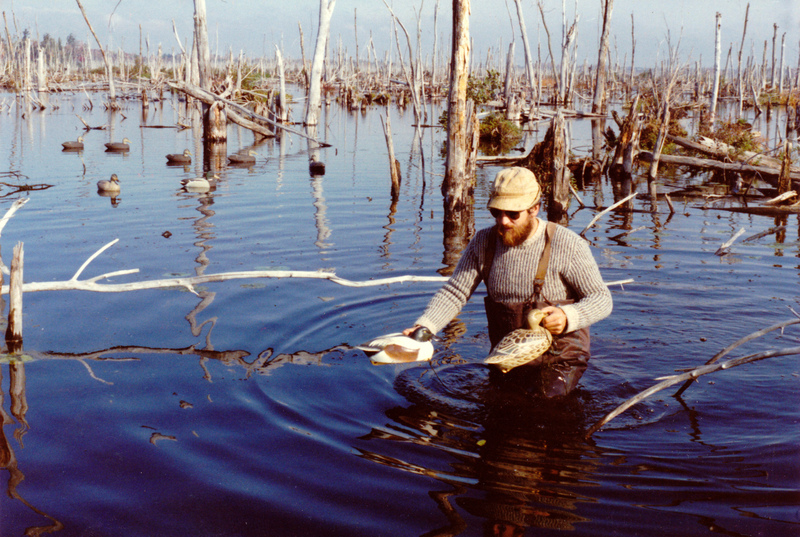 Here they are on their first day on the job – Upper & Lower Lakes WMA, Canton, New York circa 1988.